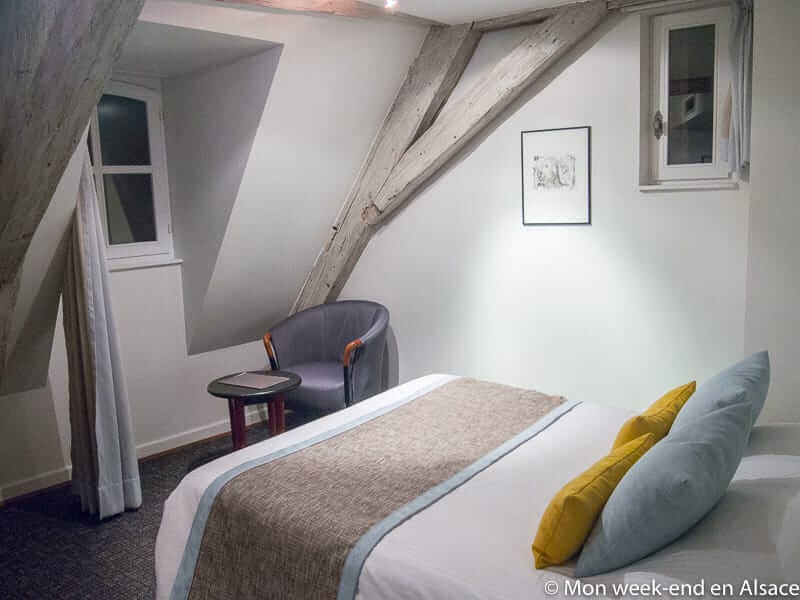 The Hôtel Le Colombier in Colmar is a charming 4 stars hotel, located in a big building dating from the 16th century. 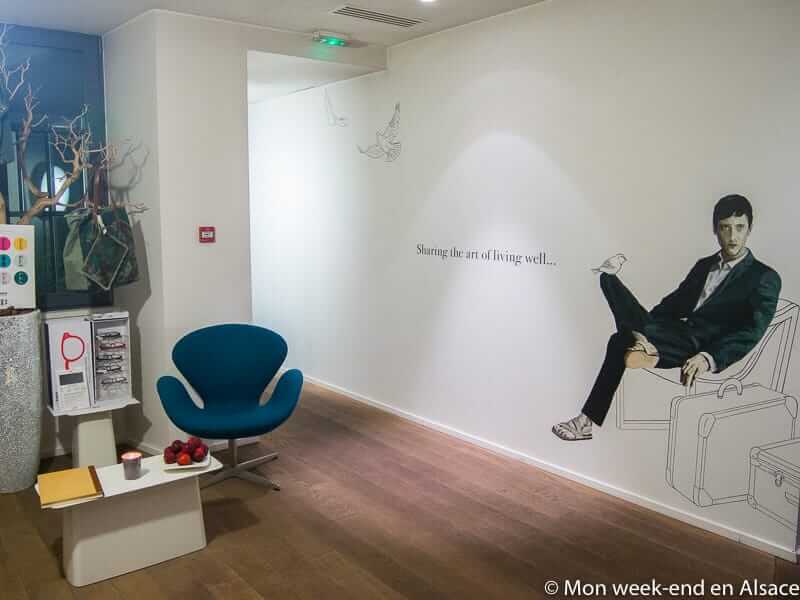 The decoration mixes harmoniously old pieces, such as the exposed beams, with more contemporary furniture. 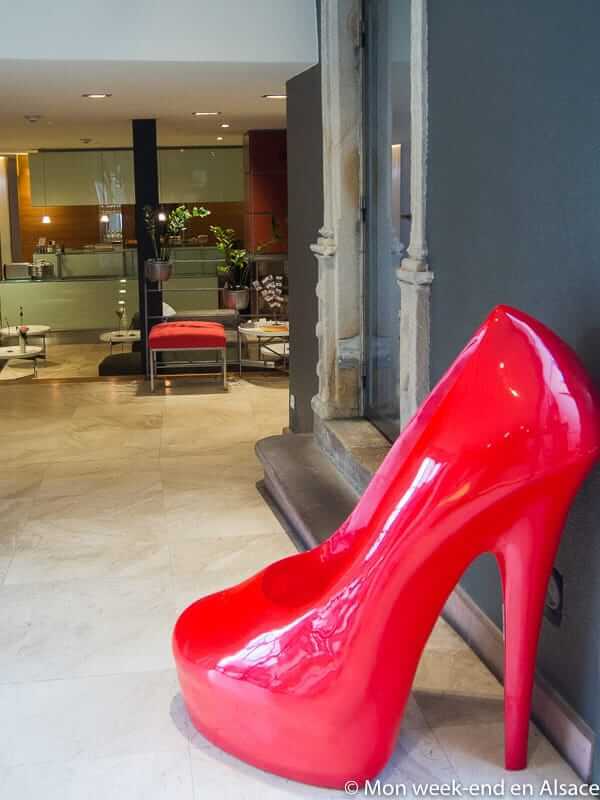 It’s a very beautiful hotel that I recommend for a stay in Colmar! I slept in a standard room. The room is not so big, but very confortable, with simple decoration. 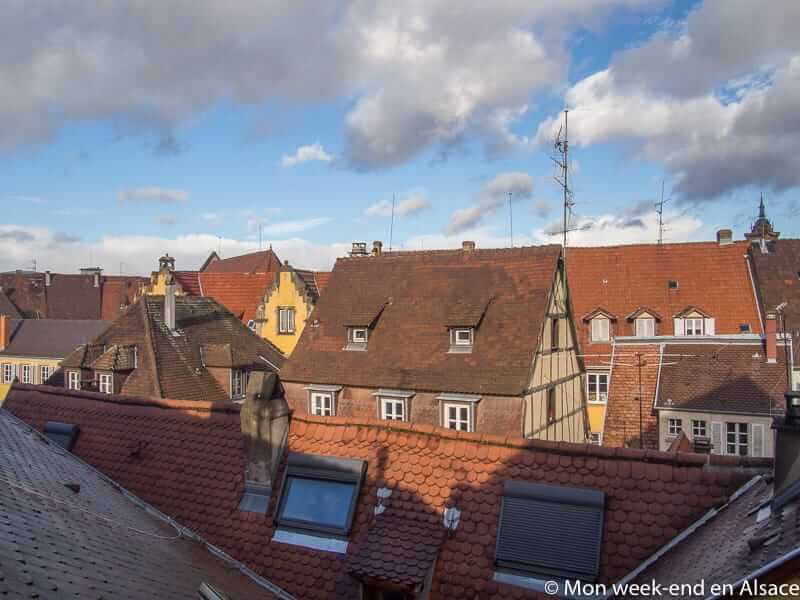 With its exposed beams and its view on the roofs of Colmar, it has a certain charm! A small, cosy and pleasant room, even though you could reproach its lack of light. The bed is confortable. Noise-wise, you can hear the sound of other rooms, even though it’s not that bad. 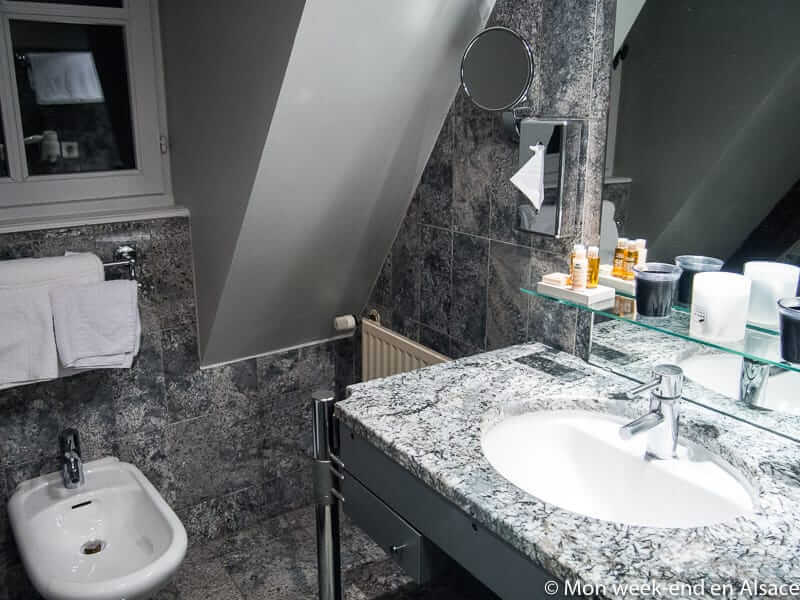 The bathroom is pleasant, even though it’s a bit small, because it is partially an attic. It is equipped with a bathtub and the toilets are separate. 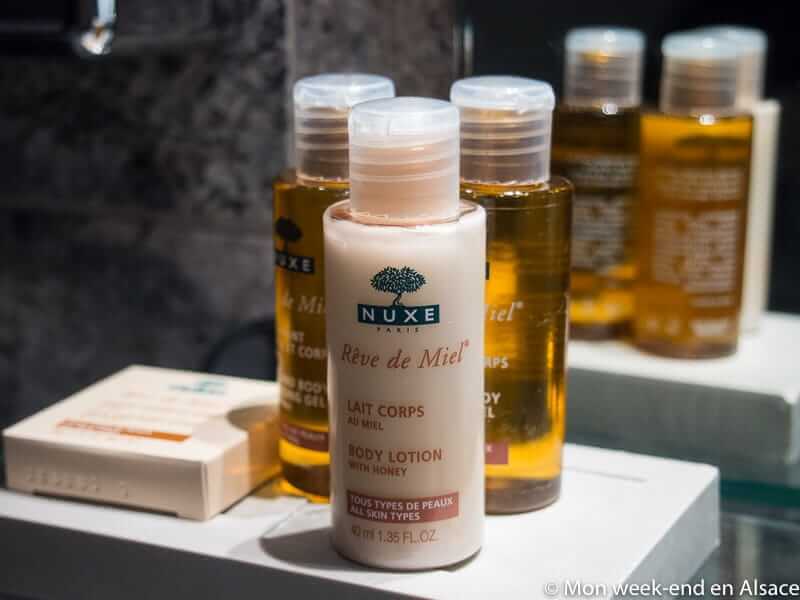 I particularly enjoyed finding Nuxe products in the bathroom. 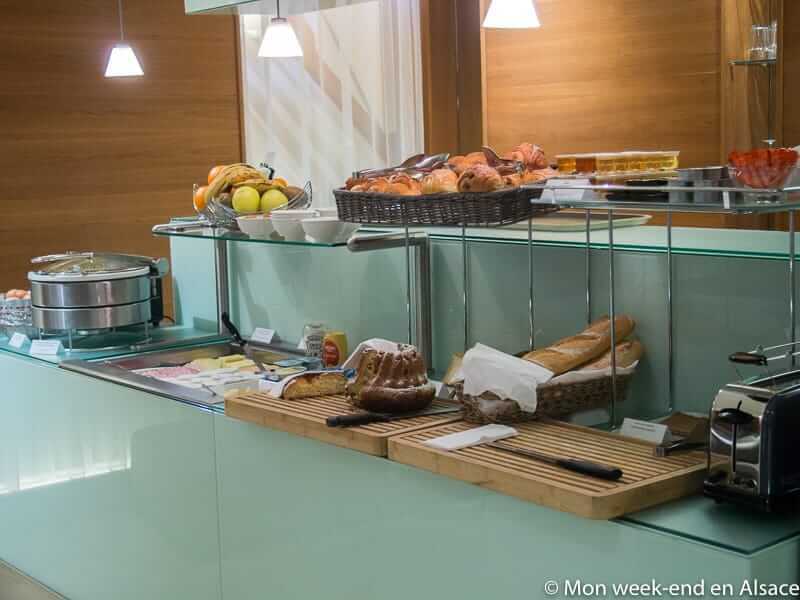 The breakfast buffet at the Hôtel Colombier is copious and very good. 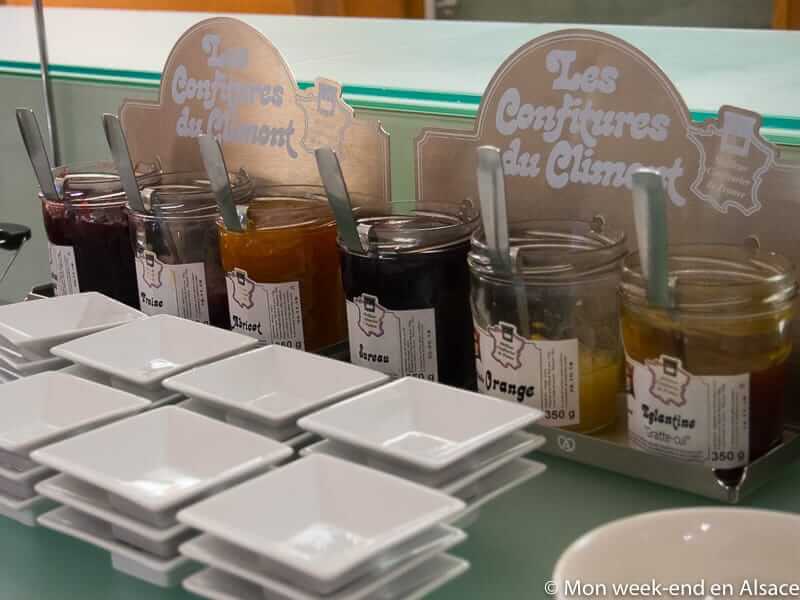 It comprises local products, whose origin is clearly marked on a sign: jams, breads, charcuterie, cheese, fruit juices, yogurts… Everything comes from Alsace or from the next door Vosges and is of very good quality. Let’s mention for example Climont jams that I had mentioned in an article. I just didn’t like the breakfast room, that I found cold and lacking any charm. 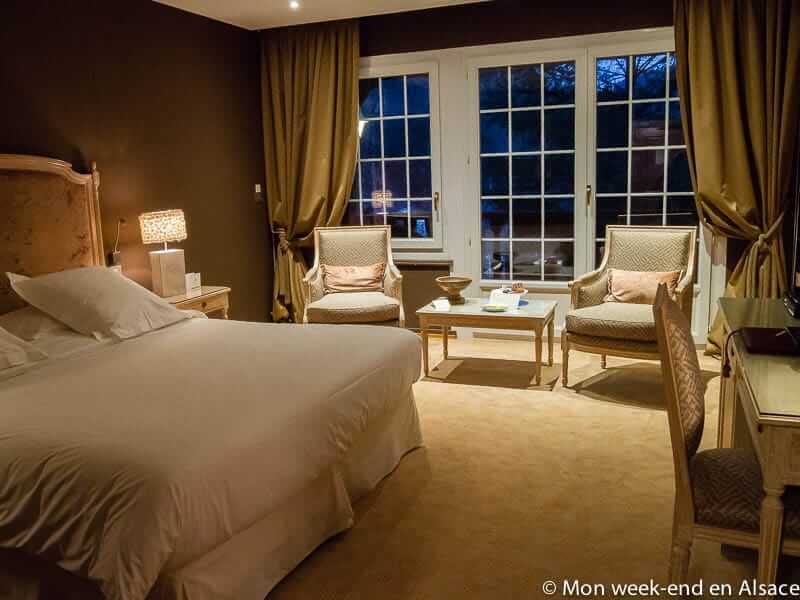 The Hôtel Le Colombier de Colmar is very well located, in the famous district of Little Venice and only a few meters away from the pedestrian area. It’s an ideal place for those who want to visit the pretty Colmar! Prices vary a lot depending on the season. 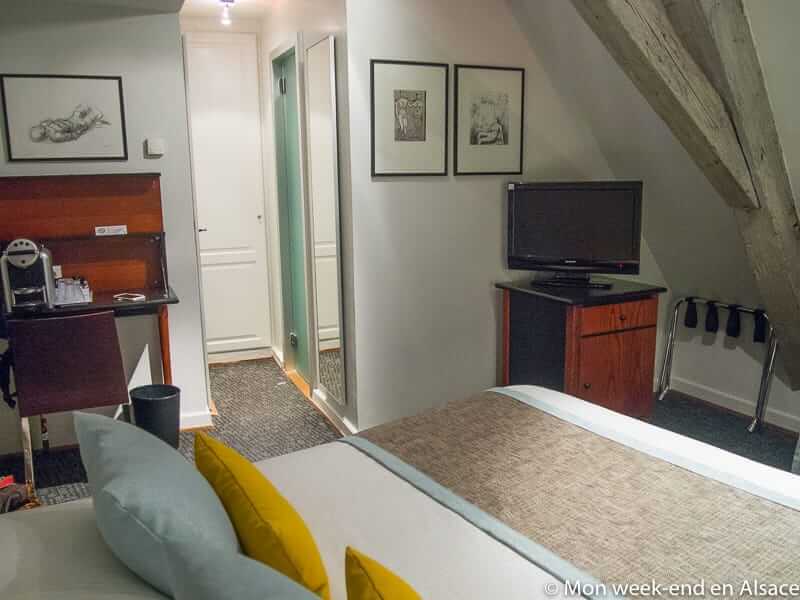 A standard room usually starts from 195€, but there are regular special offers. For example, I paid 85,50€ for one night(during the week and in January, i.e. in low season). Bonus: Nespresso machine in the room, free WiFi, sauna. The hôtel Le Colombier does not have parking. You’ll have to park in the street (paying parking). 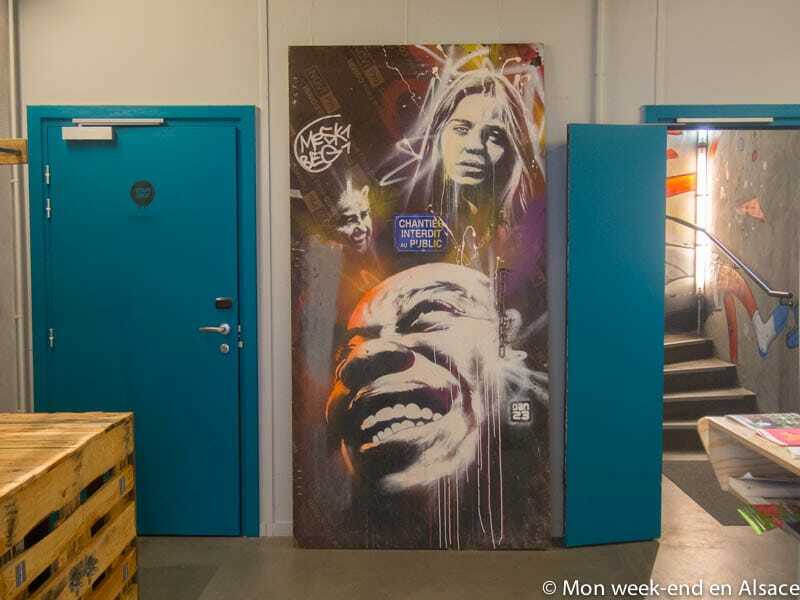 Colmar train station is 15 minutes walk away. You can have a look at your itinerary on Vialsace. The hôtel Le Colombier does not have a restaurant, but here are my favorite adresses of restaurants in Colmar.